Matt Schilit (b. Matthew Schilit July 16, 1978) is an experienced professional in the field of school administration. He was born in Minneapolis and moved with his family to Connecticut at an early age. In high school Matt Schilit competed on the varsity wrestling squad, and later that love of competition thrived at the University of South Carolina, where he completed a bachelor’s degree in physical education. Following graduation, Matt Schilit accepted a job as teacher and wrestling coach at Lexington County School District Two. On evenings and weekends, Matt Schilit obtained a master’s degree in educational administration, also from the University of South Carolina. Beginning with his early years as a teacher, Matt Schilit has continued his work as an assistant principal and principal. 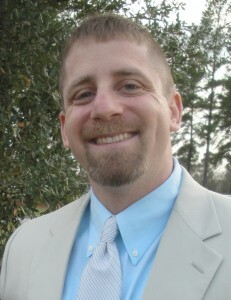 Matt Schilit currently serves Allendale County School District in the areas of testing and evaluation. While finishing his educational specialist degree, Matt Schilit is also preparing for more pressing family matters. His wife will give birth to twins in the summer of 2013. The couple has an eight-year-old daughter, and they plan to travel regularly as a family. Destinations of interest for Matt Schilit and his family include unheralded cities and towns in South Carolina – as well as famous locations like Disney World and Discovery Cove in nearby Florida. Matt Schilit is an avid weightlifter and competes often in bodybuilding contests. He recently scored first prize for his weight in the state championship. In his numerous roles as a principal, assistant principal, and teacher, Matt Schilit has developed a well-rounded knowledge of what it takes to ensure students receive the best education. As the manager of evaluation and student testing in Allendale County School District, Matt Schilit continues to use his past experience to boost test scores and build school spirit. After graduating from the University of South Carolina with a major of physical education, Matt Schilit accepted his first professional role, teacher and wrestling school at Lexington County School. He also tended to his craft in the field of educational administration, earning a master’s degree at his alma mater. At Richland School District Two, where he accepted a position in 2003, Matt Schilit acted as both a teacher and assistant administrator. Matt Schilit carried out supervisory duties while serving as class sponsor for the junior class. In his second year in the district, Matt Schilit earned a promotion to assistant principal. His responsibilities involved managing the special education department and measuring student achievement initiatives at Dent Middle School. Later, during a three-year tenure with Edgefield County School District, Matt Schilit developed the county’s flagship magnet school, the Thurmond Statesmen Institute. Matt Schilit remained motivated to improve his skill set, which resulted in his pursuing an educational specialist degree. For three years Matt Schilit was the principal of the Edgefield County School District, which included of Strom Thurmond High School. Southern Regional Education Board. “Building the Capacity of District, School and Teacher Leaders to Raise Achievement and Graduation Rates.” High Schools That Work March 2011.